The Capitals, then Daredevils finished as the cellar dwellers last season. Fans of the Indian Premier League (IPL) franchise based from the capital – Delhi Capitals (DC) – have had a disappointing last 11 years. Being one of the original teams of the tournament, the Capitals have not been able to make the finals even once. The last time they made the playoffs was in 2012 (as Delhi Daredevils). 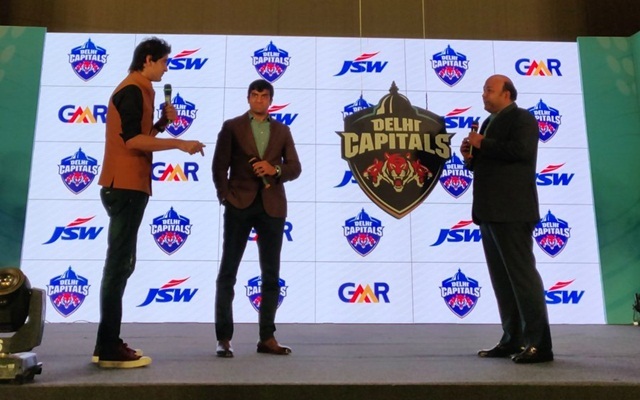 Last year, the owners changed the name from Daredevils to Capitals hoping that the new nomenclature will bring some good luck and the players too are undertaking the best possible preparation to reverse history in 2019. Players of DC recently came together at a two-day conditioning camp at Inspire Institute of Sports, Vijaynagar, Karnataka, where they spent time in doing gym and circuit training. Besides captain Shreyas Iyer, Ishant Sharma, Hanuma Vihari, Axar Patel, Manjot Kalra and other players, DC assistant coaches Mohammad Kaif and Praveen Amre also attended the camp. The following day, the members of the DC squad paid a visit to Jindal Steel Plant, Bengaluru as per reports in India TV. The Capitals, who announced that Iyer will continue to be their skipper for the upcoming edition, traded three players to Sunrisers Hyderabad for Shikhar Dhawan who returned to his home team. The trio consists of Abhishek Sharma, Shahbaz Nadeem and Vijay Shankar. Two sensational names of India cricket at the moment – Prithvi Shaw and Rishabh Pant – have been retained by the franchise for this season. Last year, the former Daredevils brought back local hero Gautam Gambhir to lead their side after his successful stint with Kolkata Knight Riders but the latter’s bad form saw him stepping down from captaincy midway into the tournament and eventually losing place in the team. Iyer replaced Gambhir as the skipper for the remaining part of the tournament. Two-time semi-finalists who made the playoffs once, the DC used Rs 25.5 crore at the IPL auction for the upcoming season to buy the likes of Axar, Ishant and Colin Ingram, the South African big-hitter. The squad will particularly look to Dhawan to deliver in this edition if they aspire to lift their maiden title in the annual T20 carnival.